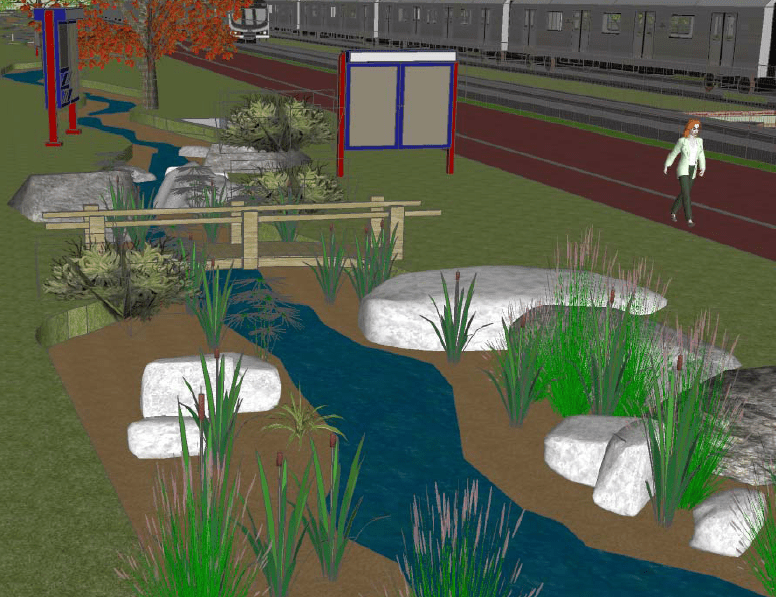 The Expo Greenway project would transform the area between Westwood Boulevard and Overland Avenue adjacent to the future bikeway and rail project into a sustainable urban greenway that would provide a corridor of native species, a stretch of open space, and a place where rainwater is sustainably moved back to the ground. Original plans called for a large parking lot in the area now slated for a greenway and botanical garden. For those following the progress of the Expo Greenway for the past six years, this might seem a ho-hum motion. But for those working on the project, it’s big news. For the first time, Expo staff will be compelled to truly work with the City of Los Angeles on this project. While the two projects are still separate, coordination between the City and Expo hasn’t always been smooth. Advocates for the fully-funded bicycle path and other projects have long-complained that staff seems concerned with building a railroad and nothing else. Koretz’s motion makes it clear that the Greenway is a part of the greater Expo vision, even if it’s not officially part of the Expo Line. Jonathan Weiss, a Cheviot Hills resident and long-time advocate for Expo rail and bicycle projects, is considered by many the driving force behind the Greenway. “Expo was envisioned as multimodal green corridor promoting sustainability of natural resources; it adapted for the 21st Century a 1930s plan to use parkways to connect recreational open spaces to the beaches. Paul Koretz motion seeks to create the context for that to happen,”writes Weiss, who represents Koretz on the city’s Bicycle Advisory Committee. While Koretz has been something of a villain in the Livable Streets Community since his decision to pull the plug on a study of bicycle lanes on Westwood Boulevard; he is a champion of the Expo Greenway. It was Koretz who helped secure funding for last summer’s ground breaking, and Koretz who “prevailed upon Expo staff” to consider the Greenway instead of a parking lot for the land that will be the Greenway. But that’s one of the things that makes covering the greenway so much fun. There is no real opposition to the project: LADOT, Bureau of Street Services, local schools, Expo supporters, Expo opponents (some of the same Neighborhood Councils backing this project sued to stop both Expo Rail and Expo bike path), the Mayor’s Office, Paul Koretz’s office and the Board of Public Works all back it. In the Greenway’s case the issue isn’t whether or not people believe the project is a good idea, everyone agrees on that. Instead, it’s about priorities. While Weiss received support from the previous mayoral administration, since Eric Garcetti took office he’s seen greater coordination between city departments to make the greenway a reality. Increased buy-in from top level staff, the head of the Bureau of Sanitation (which oversees the wastewater portion of the project) is just one of the high level staff that has called Weiss for a tour of the project area. 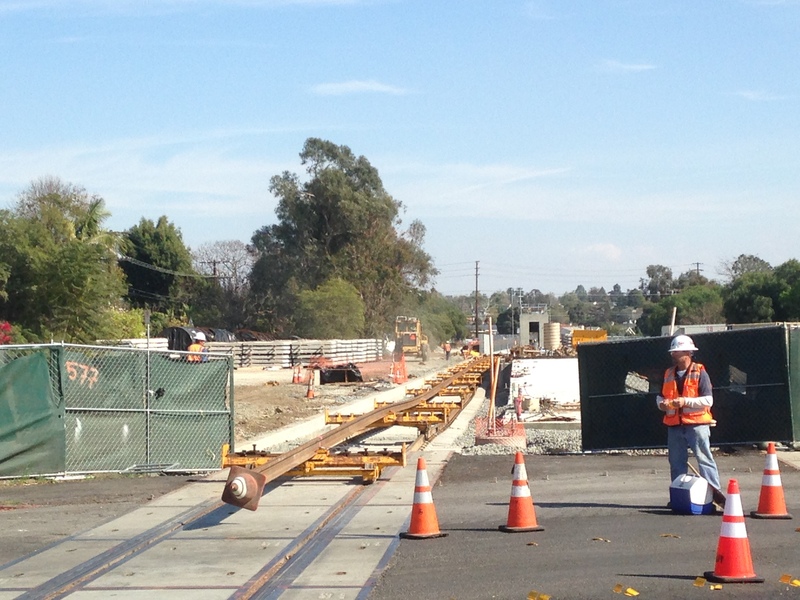 “It is wonderful and gratifying to see the Mayor’s office, CD-5, and the Board of Public Works working with Expo to more efficiently build both projects and to build them both better,” Weiss continues. So will the Greenway project happen as envisioned? It’s not a guarantee. The funding isn’t assured. It seems that every couple of months there’s new news that makes the project seem more and more likely. A motion requiring Expo and the City to truly coordinate their efforts may not seem as though it’s a big deal on its own. But in the larger picture, it may be the beginning of the end. How much is the Bureau of Sanitation’s Watershed Protection Division paying the 5 year old who created that “rendering” of the Greenway? Don’t hate on the rendering. It was done in-house on software by an engineer in the Watershed Protection Division of the Department of Sanitation, not a landscape artist. He knows native plants, hydrology, and all kinds of other sciency stuff. He’s a committed public servant who spent numerous evenings answering all kinds of concerns from residents and supporting grassroots efforts. He also lives what he works – caring about Earth (bike commutes) and helping to clean it. Leadership on the LA side has been from the Mayor’s office, most recently from director of infrastructure, Greg Good and, continuing from the last administration, Nat Gale (and Greg Spotts before he moved elsewhere). From various council offices (especially CD5), it’s been a parade of deputies, Paul Backstrom, Jay Greenstein, David Giron, and Greg Fischer, among others. It has definitely been an interdepartmental project, which can be challenging, but Sanitation got the ball rolling. We’ve also had powerful support from Board of Public Works, most recently Commissioner Barbara Romero, and before her, Paula Daniels. I’d like to add this is the first time I’ve talked to Koretz’s office since SBLA hammered them over Westwood (over and over again.) They were totally professional and easy to work with, that’s not always the case when we have an adversarial reaction to an office’s actions.